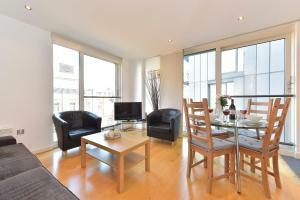 Set in London, Excelsior Apartments is 1.6 km from Lyceum Theatre. Theatre Royal Drury Lane is 1.6 km away. Free WiFi is provided throughout the property. The accommodation comes with a seating area. There is also a kitchen, fitted with a microwave. See all Excelsior Apartments reviews..